Prayer Service at 7:30 PM. Burial at Mt. Olivet Cemetery. Lunch will follow in the church hall. If by chance, you just happened to be visiting Mackinac Island back around the year of 1982, a somewhat unusual amount of $2 dollar bills were circulating their way through many happy island vacationers' hands. The reason for such serendipitous wonder was all because of Maria Esther Garza’s silent gift of love. She was known for her quiet and shy personality, but her sweet charm was powerful nonetheless. She never hesitated to find the beauty or joy in a good laugh shared with loved ones and grew to inherit great wisdom by being an observer of everyday life. Her youngest daughter was the original recipient of the chubby envelope filled with the bills as a wedding gift to take on her honeymoon. Esther had an innate ability to provide big love in small ways. Her thoughtfulness and gentle nature will be missed greatly. Esther made her life's debut in 1926 - a decade that was still very much in full swing with the notable title, “The Roaring Twenties.” Life was good, and there was plenty of work for the country. Henry Ford announced the 40 hour work week for The Ford Motor Company’s factory workers. And with so many cars in production, it was imperative that the year also completed the famous Route 66 - taking travelers from Chicago, Illinois all the way out west to Los Angeles, California by automobile! The weather was also quite active during this particular year in history. President Calvin Coolidge faced helping his country rebuild after storms of disastrous proportions. As if the Great Miami Hurricane with its Category 4 destruction was not enough, the country experienced 27 tornadoes in one season. Thank goodness for the creation of Winnie the Pooh as a comfort to so many children during these and other storms throughout the year and for many still to come. 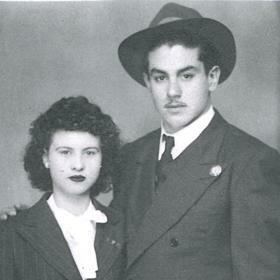 Early on in the year, and just days after Valentine's Day, Manuel and Eulogia (Salinas) Quinones were preparing to receive the greatest gift of love. On February 16, 1926, in San Antonio, Texas, Maria Esther Garza was born into the world. She spent her childhood in the state of Texas around San Antonio, Snooks, and Robstown. Her parents worked hard to provide Esther and her many siblings a good life; her father was a house builder and then later a sharecropper farmer. With a home filled with 9 children, there was never a moment lost to boredom. Some days when they lived on a farm, she and her sisters would fill many hours by catching wild chameleons which quickly became toys to the girls, for they would put strings around their necks and pretend they were horses! As the family matured, and after several years working in the migratory labor stream, they settled on the south side of Chicago. This was a difficult time for the family, as her father had a fatal accident around Esther's 6th-grade year in school. She was forced to stop her education, and this was a sad time because she very much enjoyed learning. It was in Chicago that her mother opened a restaurant called Las Palmas. There was much work to be done to help support the large family, so aside from the restaurant, she spent time working at a tortilla shop and box factory as well. Some of the hard work was accompanied by vibrant Mexican or big band music blaring by Esther and her sisters; some of her favorites included "Tea for Two," and "Sentimental Journey." Las Palmas proved to be the place where fate determined Esther should experience love. Manuel Garza and his friend visited the restaurant for a meal, but then Manuel continued to stop by for frequent cups of coffee. During one visit, he “borrowed” a spoon to take some medicine. Upon his next visit, Esther confronted him about the "spoon theft" which ignited the spark of love that would last for 60 years! The happy couple began to date even despite the incredibly shy personalities on both sides; during their first date, the two took a romantic Ferris wheel ride where neither of them spoke a word the entire time. Before long though, and after some words spoken, it was obvious they were in love. They officially married on November 23, 1945, at the Chicago Marriage Court, and then celebrated their love with others on December 16th at Our Lady of Guadalupe Church. The newlyweds settled into life and soon celebrated the joy of beginning a family together. In time, their family of two expanded to eleven! Needless to say, there was much happy chaos experienced by all members of the family even amidst the occasional sibling squabble. Esther was a supportive and loving mother who spent many hours cheering for her children at sporting events, attending fashion shows, and enjoying musical/theatrical performances; she would also save every newspaper clipping, pin or award along with all the handmade cards and gifts made especially for 'Mom', as she held her role in motherhood forever close to her heart. She was the one who made every childhood moment special - like the time she was spotted carefully and quietly placing gifts under the Christmas tree on Christmas Eve - always willing to sacrifice and work to give her children the best childhood possible. She was also known for taking one child along for a trip to downtown Kalamazoo to shop and pay bills; the lucky shopping companion could always look forward to lunch with mom at Woolworth's. Every Spring, Esther would grow a garden of beautiful irises, tulips, and roses which she encouraged to be picked for the annual May Crowning celebration at St. Ambrose Church. All of these moments are not to say that she did not sometimes lose her patience, however. Every now and then when the craziness of raising children would get to her, she would need to scold the children. In her fluster, she would often mix up the names, like "Jo-sus" instead of Jose or Jesus, and this would cause an outburst of giggles amongst her family. And always the supportive mother, she once agreed and offered to chaperone her youngest son while he played in a local exotic club with his band because he was underage. She gently but firmly suggested after the gig that he refrain from working at strip clubs in the future. Esther also tried her best to instill some values in her children's lives especially when it came to saving money. She kept a small tin snuff can for all of her kids with their individual names on each. These were where money earned was safely placed. Sometimes she would, "steal from Peter to pay Paul" borrowing some coins for household expenses but always paying back the debt. This activity modeled the importance of saving even a small amount for the unexpected needs of the future. She also found ways to stretch the dollar by learning how to use fabric remnants to make her family clothes - and even underwear for her boys! Later in life, she was still modeling hard work and the value of confidence and determination. Throughout her life, she was afraid of water and never learned how to swim. This did not keep her from attending weekly water aerobics, but she would use a water noodle to give her stability. One day, she tossed the noodle aside and dog paddled her way across the pool. Afterward, she stopped, stood up tall and with a big smile shouted, "I did it!!!" For the first time in her 87 years of life, she mustered the courage to swim.  When Esther had moments to savor just for herself, she enjoyed watching television or heading to the movie theater. Her favorite shows included "I Love Lucy," "Ed Sullivan," "Red Skeleton," "The Guiding Light," and "As The World Turns." She liked to surround herself with the calming colors of lavender and purple which also helped attract butterflies which she loved. However, when visiting her daughter in Kentucky, she enjoyed watching WWE wrestling on television, especially John Cena, her favorite. 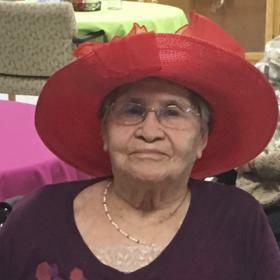 She looked forward to visiting her family in Mexico, Texas, Colorado, Arizona, California, and Chicago, and she always opened her doors to her family during the summer or holidays. Her legacy in the family was acknowledged and honored during the Quinones Family Reunion held in Kalamazoo, Michigan last year. Esther quietly accepted the love she received on this memorable day. 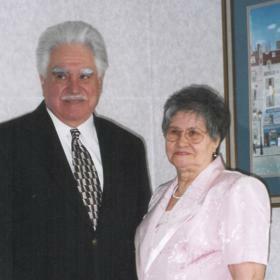 As life continued on, Esther and Manuel were given the blessing of many grandchildren and great-grandchildren. She held all of these precious lives in her ever expanding heart. As a young girl, Esther often pretended that her name was Aurora when playing make-believe. Later in her life, she was elated to learn that one of her great-grandchildren was given that same special childhood name. 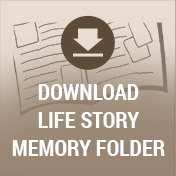 Good times and great memories between generations have been created for future reminiscing. Difficult times were also shared within the family with the loss of Esther's loving husband in 2005 and her son, Ramon, in 2008. With the love and support of her family, Esther preserved the times they shared in her thoughts and found a way to celebrate each day once again. Esther always had a way of making sure her family felt love. Moments were many, like when her eldest daughter tried to bake her first cake that just did not turn out quite right. After her daughter shed many tears upon seeing her baking disaster, Esther served everyone a piece anyway and instructed each one to go tell their sister how delicious the cake was. These gentle reminders about the simple things in life being most important are what Esther always shared. After 91 years of these constant and quiet moments, Esther has begun her eternal journey. A former resident of Kalamazoo, Michigan, she passed away on Monday, May 15th in Racine, Wisconsin. As we look to one another to find comfort in memories we shared with Esther, we will keep her spirit with us forever. She survived all her siblings and parents. 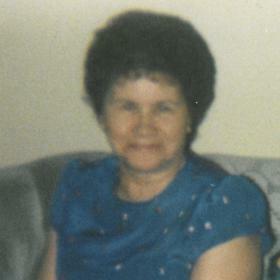 She is preceded in passing by her husband, Manuel Perez Garza (2005) and their son, Ramon Q. Garza (2008). Esther’s family include her children: Manuel (Marsha) of Portage, MI; Maria Elena (Brad) Huntley of Murray, KY; Luis (Carmen Castro-Garza) of Racine, WI; Eloisa (Craig) Prescott of Murray, KY; Jesús (Dorothy McNamer) of Madison, WI; José (Roxane Rohweder-Garza) of Idaho Falls, ID; Andres (Sandra) of South Bend, IN; and Lydia (Craig) Campbell of Flushing, MI; along with numerous grandchildren and great-grandchildren. Friends may spend time with Esther’s family on Tuesday, May 30 from 5-8 PM at the Betzler Life Story Funeral Home in Kalamazoo, 6080 Stadium Drive, (269-375-2900). A celebration Mass will be held at 11 AM on Wednesday May 31 at St. Joseph Catholic Church, 936 Lake Street with Msgr. Mike Hazard, Celebrant. Esther will be laid to rest beside her loving husband at Mt. Olivet Cemetery. 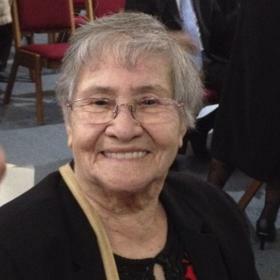 Please visit Maria Esther Garza’s personal memory page at www.Betzlerfuneralhome.com where you can archive a favorite memory or photo and sign her online guestbook before coming to the funeral home. Esther and Manuel were both active members of the originating “Grupo del Rosario” at St. Joseph Church. Memorial contributions in their honor may be made to the Hispanic American Council, 930 Lake Street, Suite A, Kalamazoo, MI 49001-3097.